Single on top and single on bottom with ladder. 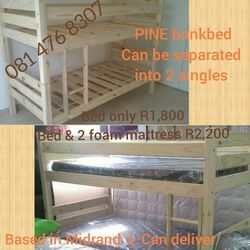 Can be separated into two bunks. 4 Pine Bar Stools. R600.00 or nearest cash offer.